Tampa, (Fl) --- It can sound as a weird theory, it can even sound that the idea came from Ray Bradbury or George Wells. It's is a theory of the mass communications as well public relations, that entities of power can use mass media in order to create a diversion from a problem that is happening in the country, to create catharsis among the citizens and let them blame it on a celebrity up to a problem that is not relevant and doesn't need a solution. << Two minutes hate>> as it was called on 1984, are two minutes where members of the Party express their hate to members of the opposition; in actually it can be seen today, as it been happening where the media creates a frenzy towards any celebrity in order to avoid informing what is really happening in matter of economics as well regional and international politics. Keep the people as dumb as possible. 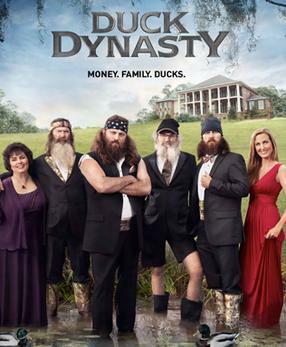 I am not a fan or reality television, I am not a fan of Duck Dynasty, but I guess it had found its niche; but, yet for me is a bunch of over-glorified rednecks with a lot of money that through the television show connected with middle-class Americans. Yet, we are ignoring what is happening around us on terms of civil rights, economics and politics. Such, as another upcoming government shutdown (let's face it, Republicans and Democrats are hurting the people equally on this little war they have toward the economic monopoly), the war is still on; the assassination of Andy Lopez, where police brutality is a serious problem and almost everyone are looking to one redneck this time. Yes, there is a fine line between free speech and hate, Duck Dynasty has offered to the viewers the fine lines between what has turned "political correct" and what has become a problem into the rhetoric of a group of people that are defined into Fundamental Christians albeit they don't define the religion and the groups as whole. I don't defend Phil Robertson, as an LGTBQ individual I really detest any form of hate speech, as a humanist I hate when people act in a aggressive way but after reading the interview I see an answer that is honest according to the man's principles, because there is not going to be an homogeneous reaction to every issue in the world. As, you become a celebrity or an individual of interest, you have to become aware that everything you say it will be scrutinized by everyone. That is a rule of entertainment; but as many people rise to fame with realities, the magazines as well other communication service use the scandals in order to make a profit but at the same time, as it was said early they create a diversion from what the people had to be paying attention to. It's not weird to see how the media gets into a frenzy before the government gives bad news, such as in October 2013 where Major League Baseball had more prevalence on the news than the Government shutdown (and how Ted Cruz and Co. screwed thousands of people). So, how knows will happen next. ?